Debate has raged amongst Organisational Development & Change practitioners for many years about whether people are wired to resist change as some sort of automatic behavioural response. I’m not going to tackle this topic in its entirety here, but it is safe to say that most organisational change and transformation programs will encounter resistance from some (or all!) of the people impacted by the change. After 20 years running and guiding change programs I’d like to share a few of my thoughts about some key reasons why people might resist change in the workplace. Whilst humans may not be wired to automatically resist change, we are wired to learn from our previous experiences. 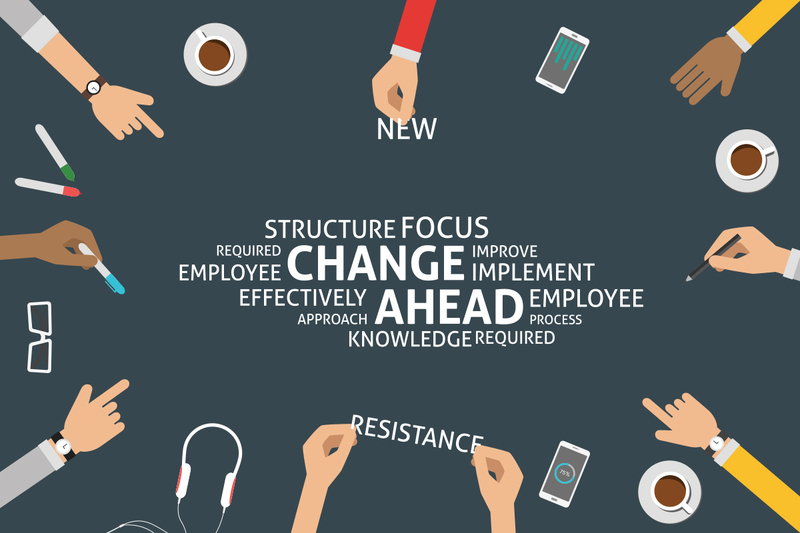 Whilst some organisations are very capable in how they manage and introduce change, most staff will have had a negative experience previously when it comes to organisational change and transformation. This could be because previous changes were badly managed or because the outcomes of the change were perceived as negative. Given this, it’s not surprising that some people tread fairly carefully the next time a change initiative is introduced to them. Homeostasis refers to the self-regulating properties of a system to remain stable. Organisations contain lots of different human and behavioural systems operating concurrently. Using this systems theory to understand resistance, many have made the argument that our workplace behavioural systems become habitual and when a change is introduced the system seeks to self-regulate and remain stable. Resistance is effectively the manifestation of the system defending itself against the change. Whilst this makes sense at a theoretical level, it doesn’t account for the broad range of reactions to change at the individual level. Whilst the habits and homeostasis argument may not explain all resistance, it does provide good insight about potential resistance especially where the change is seen as external or foreign to the existing organisational system. Let’s be honest, change and transformation are not always a good news story. Whilst the most obvious bad news associated with some organisational change is job loss, it is important to understand that perceived loss can be much broader than the fear of losing your job. Staff can perceive loss because their skills in operating an old IT system will become redundant once the legacy system is replaced. Staff could perceive loss as a result of a merger between 2 Divisions as they will lose the direct contact they currently enjoy with their Divisional GM. Staff could perceive loss as the relationships they have formed with the people they sit with will be broken as a result of an internal move. Staff could perceive loss as they believe the autonomy they enjoy under a current arrangement will be lost with a heightened focus on accountability and performance. Change practitioners often try to identify the ‘what’s in it for me’ story to help sell change to impacted staff. Sometimes it’s just as important to acknowledge that it’s not all good news. Many change and transformation programs have an impact on the capability of staff within the organisation. Whilst some staff may relish the opportunity to learn new skills, there are occasions where the capability shifts for individuals are perceived to be so big that staff will begin to undermine the change. I’ve seen this happen where a new vanilla IT system is introduced to replace a legacy system that relies on the deep level knowledge of a small number of super-users to function. I’ve also seen this where non-technical capabilities are impacted. One of my Government clients was increasing its focus on achieving voluntary resolutions between disputing parties. This required its staff to work with the various parties to negotiate and influence a mutually acceptable outcome. This was great in theory, but represented a huge capability shift for the staff from conducting more formal desktop investigations and making recommendations around remedy and potential litigation. Whilst the staff eventually accepted the shift in focus, it took some time and a significant investment in training and support for the benefits to be realised. Being aware of the key resistance triggers and planning communication, engagement and training activities accordingly are vital in ensuring that an organisational change initiative is successful. In my next article I’ll identify a range of strategies that can be used to deal with resistance pockets when they appear. The Consulting Space has extensive experience helping our clients plan and execute change initiatives. We have acted both as a long term implementation partner as well as a short term resource to help deal with deeply rooted resistance issues. Call Adam Libbis on 0417 454 247 or e-mail via adam.libbis@consultingspace.com.au for more information.